We got another custom shaped drive order through the office today. 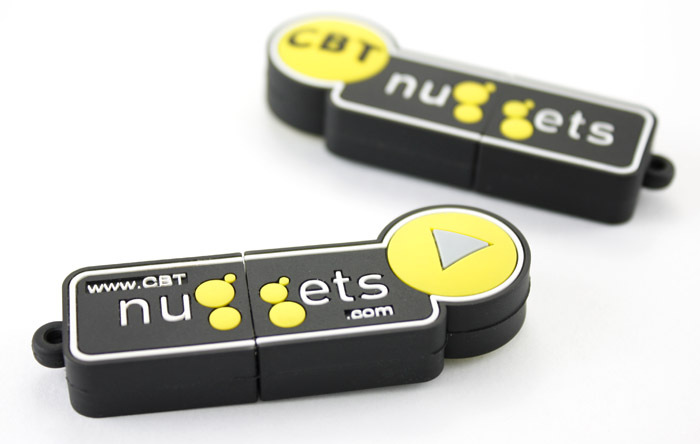 These drives were custom made for CBTNuggets.com and is the shape of their site logo. 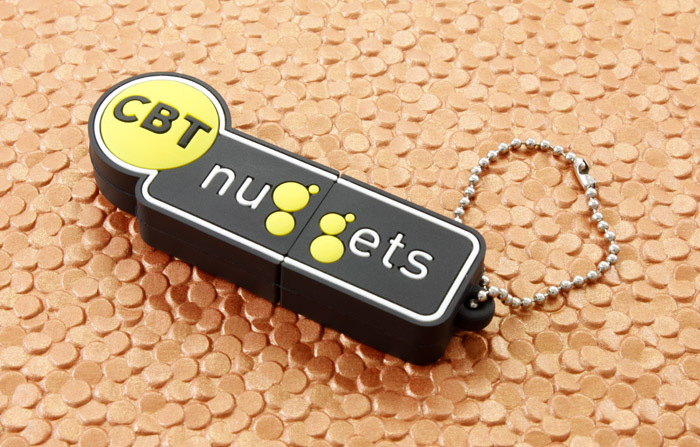 In case you did not know, cbtnuggets.com is one the top websites for learning IT and obtaining a certification at home or at the office. They offer video courses that cover Microsoft, Cicso, Oracle, Linux, CompTIA and more. I’ve been browsing their site, and they’ve really got some interesting courses, such as the “Certified Ethical Hacker” lessons. The drive itself looks great, as you can see from the photos. 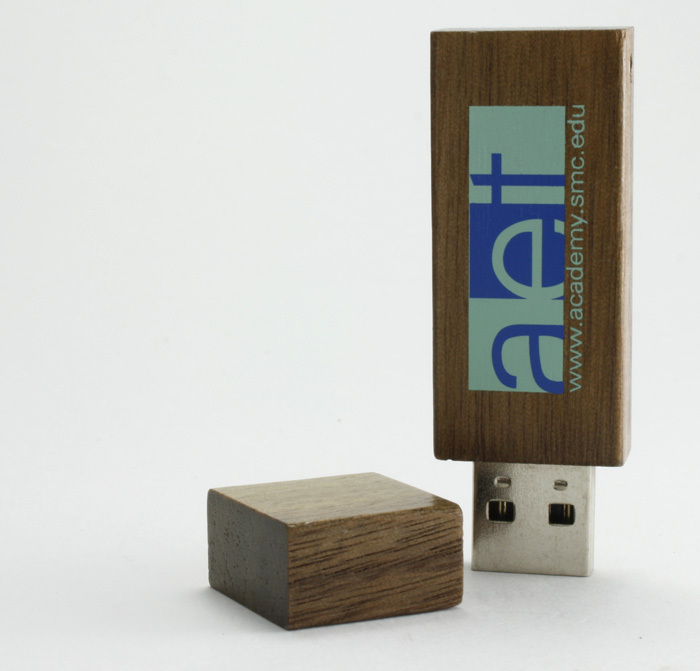 Their logo lends itself well to be made into a flash drive, because like most standard USB drives, it is shaped like a rectangular prism. The outside of the drive is made of a durable rubberized material that can survive drops and is unscathed by light scratches. All in all, I think these came out great and we hope CBT likes them as much as we do. Today I checked the mail and I was quite surprised to see what was waiting for me. BMW sent me their welcome package for our new car. 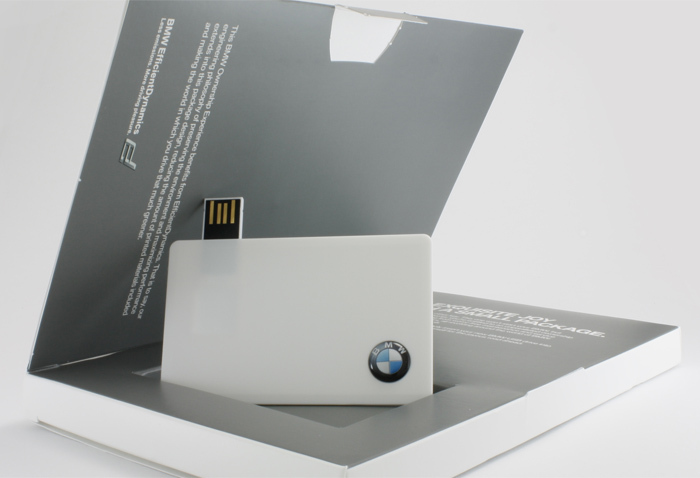 Apparently they are pretty hip to the USB scene because inside the little box/booklet was a card style USB drive with a custom epoxy coated raised BMW logo. I plugged it into my computer, and a cool video started up automatically. People driving fast through scenic countryside and winding roads, all with huge smiles on their faces. These guys know their customers, I do like driving fast. Once the video ended, a flash screen appeared and I was presented with several options. There was a section with a digital owner’s manual, links to videos about the car’s features, special promotions BMW is running and information about how and why to sign up for an online account. 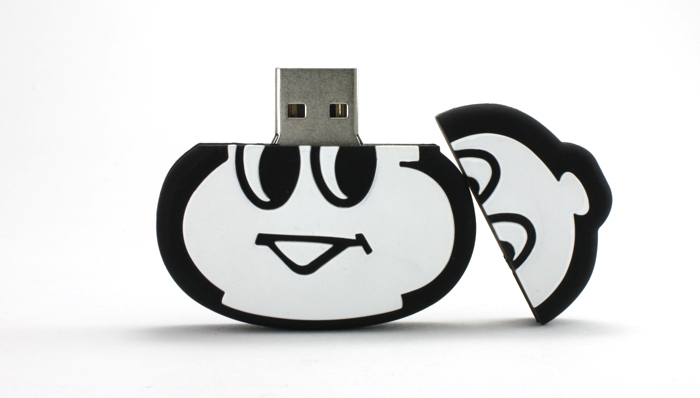 It was a very well made presentation, and including it all on a custom flash drive was the icing on the cake. Had they emailed me with the same videos and information, I probably would never have read it, but receiving this physical USB drive made me excited to see what they had sent me. I checked out every last thing on the drive. 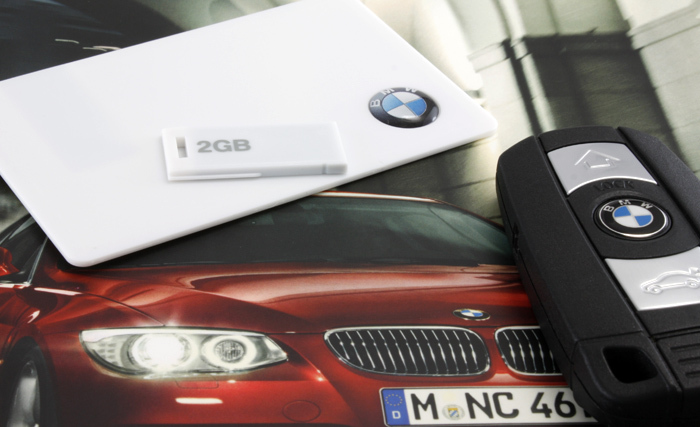 BMW really used these drives to their full potential. An attractive custom design on the card style drive and a preloaded auto-play presentation with links to their website, all on one of our most popular card style drives. 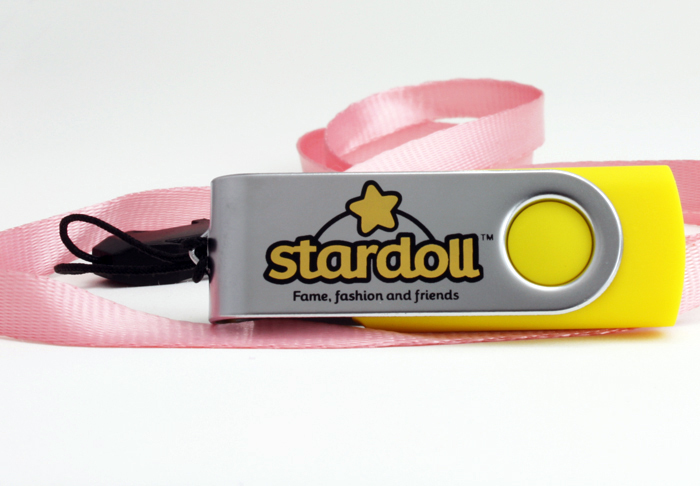 We recently received an order for color matched flash drives for Too Faced Cosmetics, a trendy cosmetics brand. Known for its fashion-forward shades and tints, Too Faced offers a collection of products that are featured in everything from television to fashion magazines, and has amassed a following of loyal customers. They were particular about the drive color, and offered us Pantone specifications that produced a perfect shade of pale pink, reminiscent of youthful color. 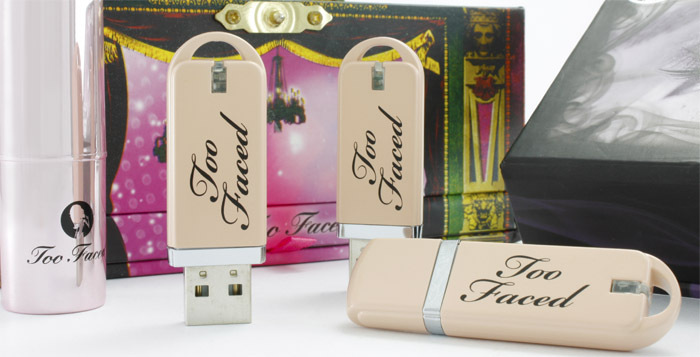 The Too Faced motto really sums it up for this order of prestigious flash drives, “Why be pretty when you can be gorgeous?”. Tarator the original creator has already sold the rights to this particular device. We have initiated contact with the new rights hold, gifts.ru, in an attempt to obtain the right to sell it in the US markets, this would include orders out of country but only if they are reached via US based marketing IE all of reddit. 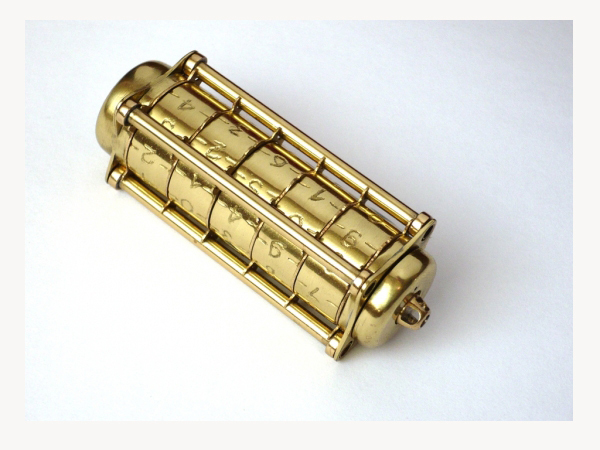 Tarator has also made an offer for us to purchase rights of his latest creation http://steampunker.ru/blog/4677.html, not as interesting as the cryptex drive i must admit. We won’t be giving up so easily, there are many other routes that can be taken. We are attempting t forge an agreement which will allow us to use their manufacturing facilities. This will reduce our lead time in producing the device. The sample is being created as we speak and should be done within a week. At that point we will be able to negotiate pricing for the rights. We will get some initial cost info from the rights holder. As it stands we are prepared to make two offers depending on whether we can use their manufacturing plant (of course we will make sure quality is good). 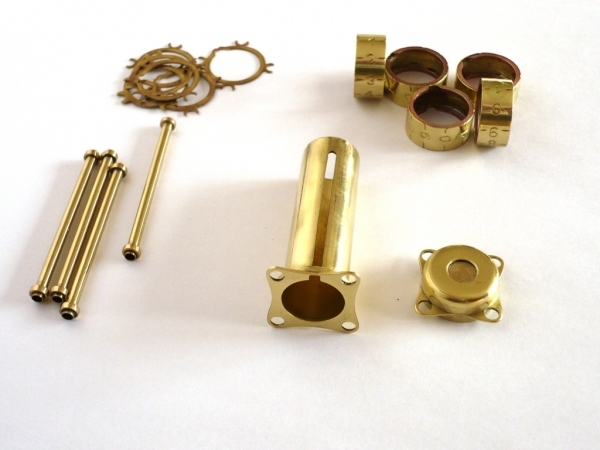 The amount we offer for royalties is contingent on us not having to fabricate milling parts to produce the drives and of course how much their factory will charge us. The latest email which came to use today informed me that we will have price points from their factory first thing Monday morning. At which point it will take a couple hours to prepare our offer to them. If all goes smoothly we’ll have word by lunch time. We are reaching the end of negotiations. Hopefully we will arrive at some sort of accord shortly. Once the agree has been finalized we will need to make sure we are covered and sign contracts, this could take a couple days. After that it is smooth sailing and we should see the first samples within a couple weeks. Full production a week after. We will be emailing everyone with any major updates. We have reached an agreement with the company that owns the rights to this drive in Russia. 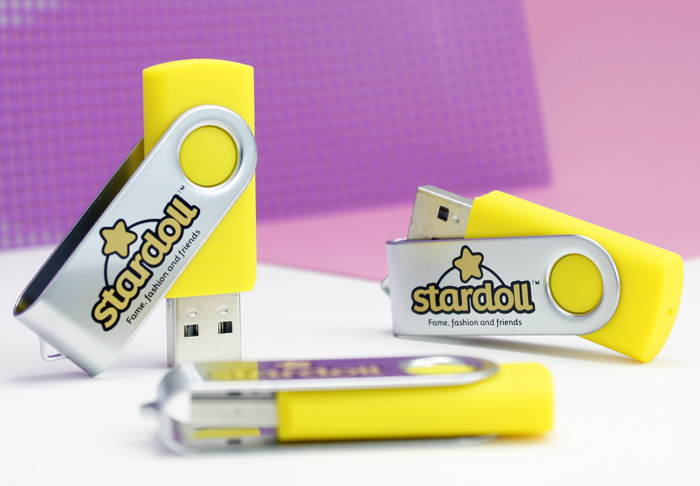 Samples are close to being completed in the factory which gifts.ru is using for creating these drives. Fahad posted below about a patent that was undoubtedly used as the idea for the basis of this drive. Whether or not it would be considered a derivative work is something that might be up to a court. In light of this we have contacted a couple IP attorneys for legal support and while the goings are slow they are still goings. One thing is for sure, I am going to try my best to green light this all the way through regardless of the legal implications. Hopefully we sell enough to cover a $250k legal proceeding lol, fingers certainly crossed on that one. It’s that time of year again where students everywhere are making the most of the final weeks of summer vacation. While the students relax, the schools are already in gear preparing for the next school year to start. 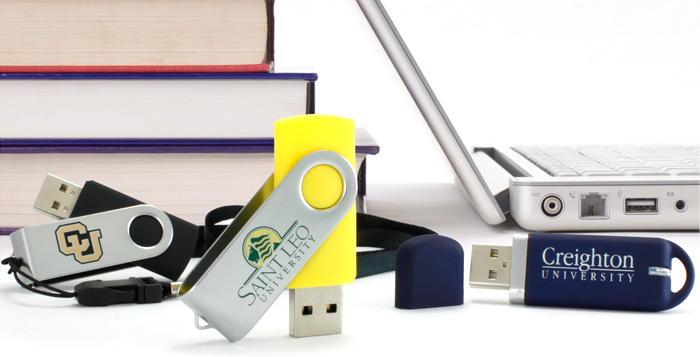 We’ve been getting tons of orders for usb drives from schools all around the country all summer, and they’re really coming in droves now. It’s interesting to see all the different school designs and logos. 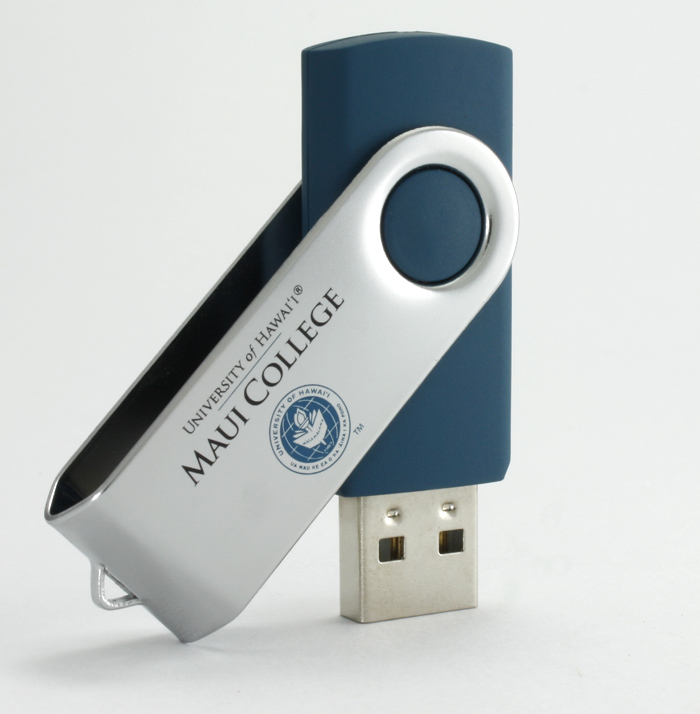 Some universities order USB drives for faculty use, while others are purchased for distribution to students. Who knows maybe many years from now, some of these drives will be collectors items! I’ve got another cool custom shaped drive to show off today. 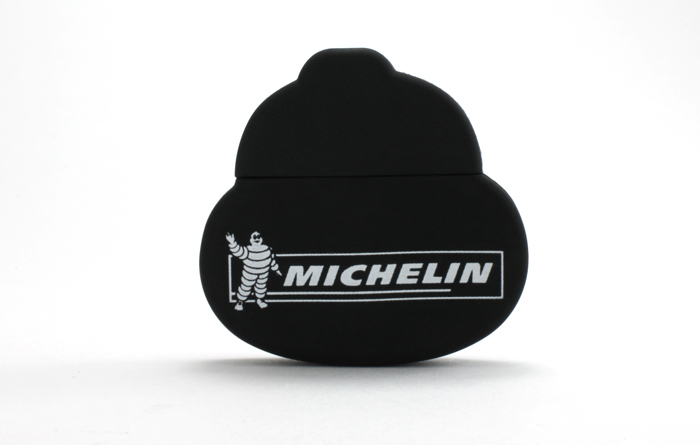 Latest order in is for Michelin tires and the drive is the shape of their iconic mascot, the Michelin Man. It may not have a ton of colors, but I think it looks damn good. These drives have everything that I would look for if I were making custom flash drives for myself. It’s unique: I’ve never seen one like this before. It’s classy: the black and white color combo is simple and elegant. 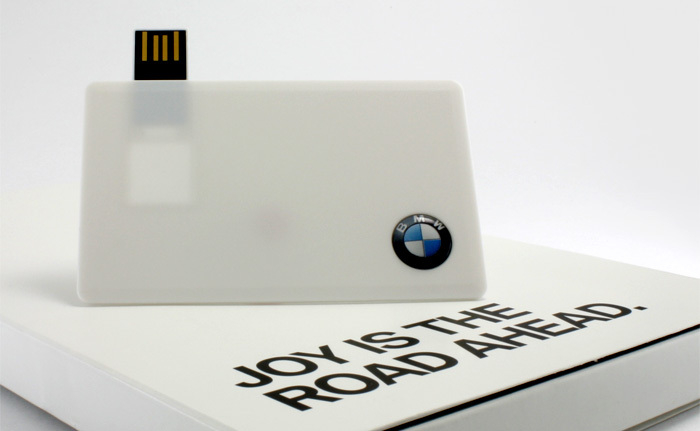 And it’s recognizable: people will immediately know what brand the drive represents. I really don’t think these could have come out any better. What do you guys think? Post your thoughts in the comments below! The original creator of this device is an elite security ninja, all we know is that he goes by “Tarator” and resides in Russia. 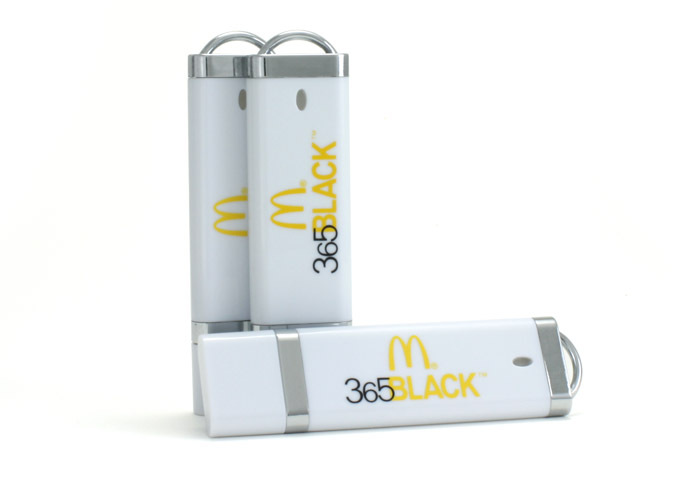 Today I’ve got another cool custom USB order for another big name company. 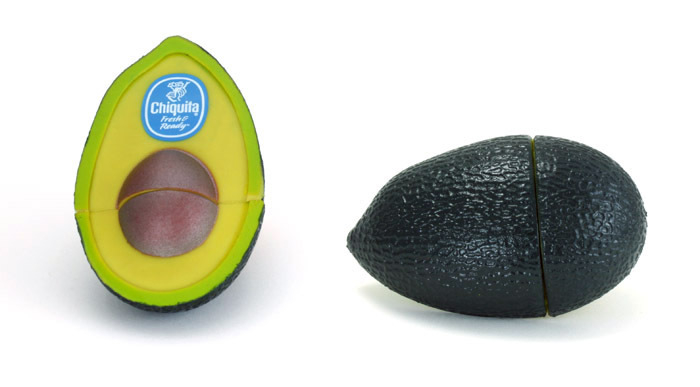 Chiquita (as seen on every banana you ever ate) had us make these one-of-a-kind avocado Flash Drives, with their famous blue sticker printed on it, of course. 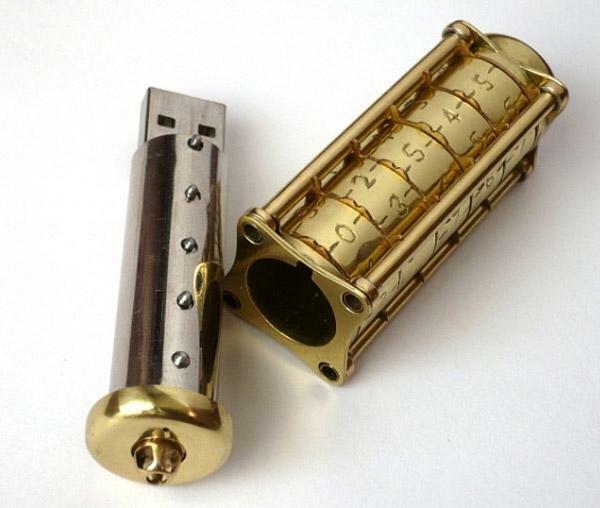 This goes to show you, anything you can think of can be made into a good looking USB drive. 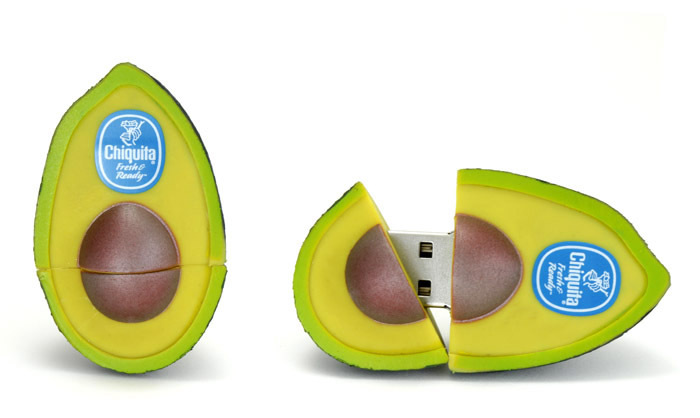 It would certainly grab my attention if I saw an avocado sticking out the side of somebodies computer! What’s really amazing is to see these drives go from concept to fully functional product in such a short time. 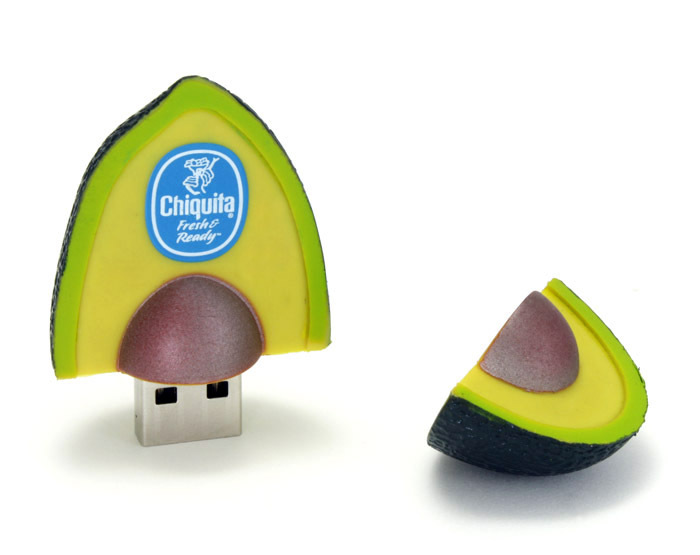 Maybe next time Chiquita will order a banana USB drive and we can start a flash drive fruit basket. 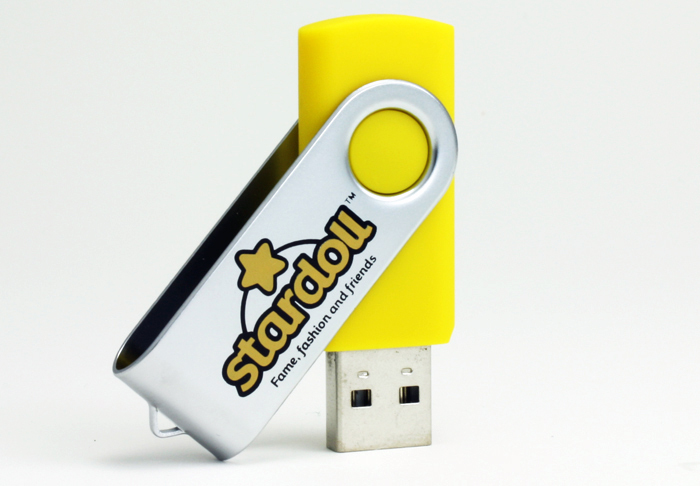 Our latest shipment included some yellow swivel drives for the website StarDoll.com. Unless you have a younger sister like I do, you may not have heard about them before, but they are a huge social media/ game site for teens and preteens. 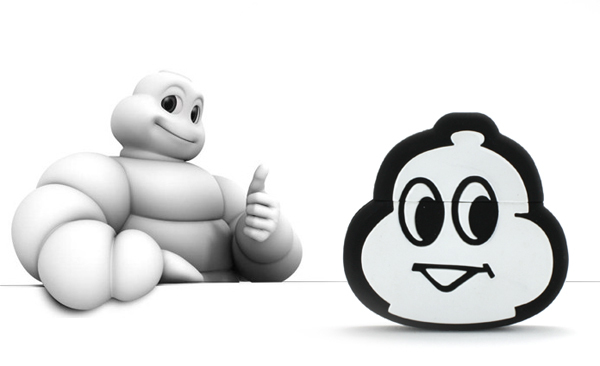 Users create avatars that they can dress up and use to interact with other users. Needless to say the site is quite popular with young girls.